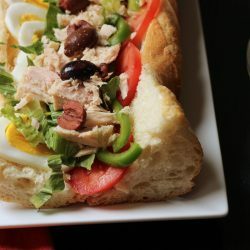 After all that talk last week about tuna fish sandwiches, I started to get a craving for the version that is popular in the South of France. You may remember that I studied at the Universite in Bordeaux during college. I also had a sweet family in Toulouse “adopt me” for weekends and holidays. The Durieux were particularly adept at introducing me to traditional flavors and explaining their history. They made sure that I tried any number of culinary delights and specialties from France, focusing on the areas where Jean-Marc and Michele had grown up, Savoie and Catalogne du Nord, respectively. They took me on trips to both regions, though because of proximity we traveled to Collioure most often, where they have a small vacation home. 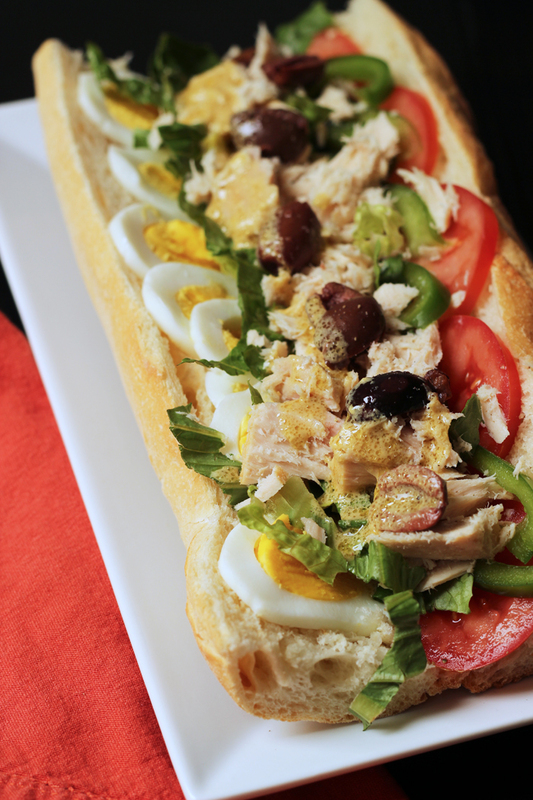 When we vacationed on the Mediterranean, this sandwich was among them. I wish I had good food pictures from back then. Sigh…. So, while I was walking down Memory Lane the other day, reading all your comments, I felt this extreme urge for this sandwich. A pan bagnat is “bathed bread”. You want it dripping with good French vinaigrette dressing. Drizzle it liberally over your sandwich. Michele says that for best flavor you should use tuna packed in oil. It’s messy, but it’s supposed to be. Buy in bulk. I know that Costco is the best place to buy ingredients in bulk, like canned tuna. In fact, their Kirkland albacore is my preferred brand since it is soy-free. Costco is also my go-to destination for organic eggs. Shop the sales. Each week I scan the sales to see what produce is on sale. 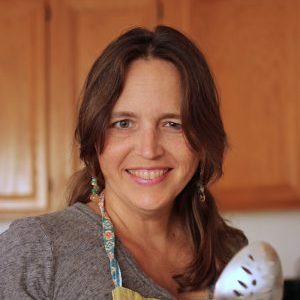 Unless I have a particular recipe in mind, I buy what’s on sale and work those into the menu. 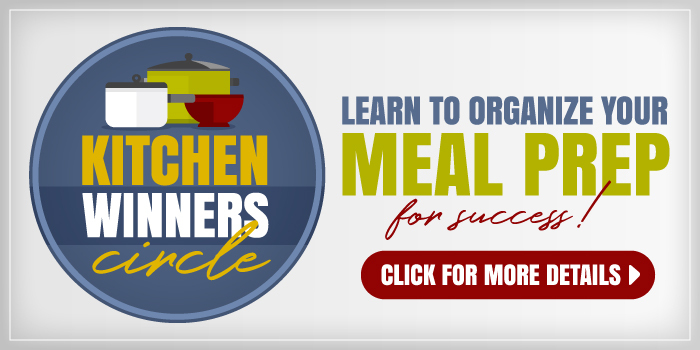 You don’t need much in the way of kitchen tools to make this recipe, but having the right kitchen tools can really make your time in the kitchen more enjoyable. Over time, I’ve honed my collection so that they are perfect for my needs. Here are the tools that I like to use in this recipe. 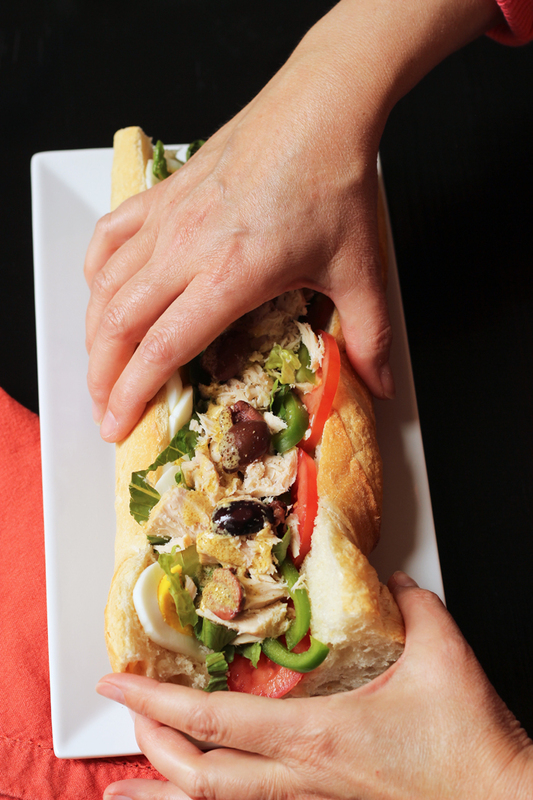 Enjoy the flavors of the Mediterranean and low cost ingredients in the classic Pan Bagnat. Simple to make, it's a perfect tuna sandwich. Split the baguettes horizontally through the center but not all the way through the crust on the other side. Leave a hinge if you can. Cut each baguette in half crosswise, resulting in four pieces total. 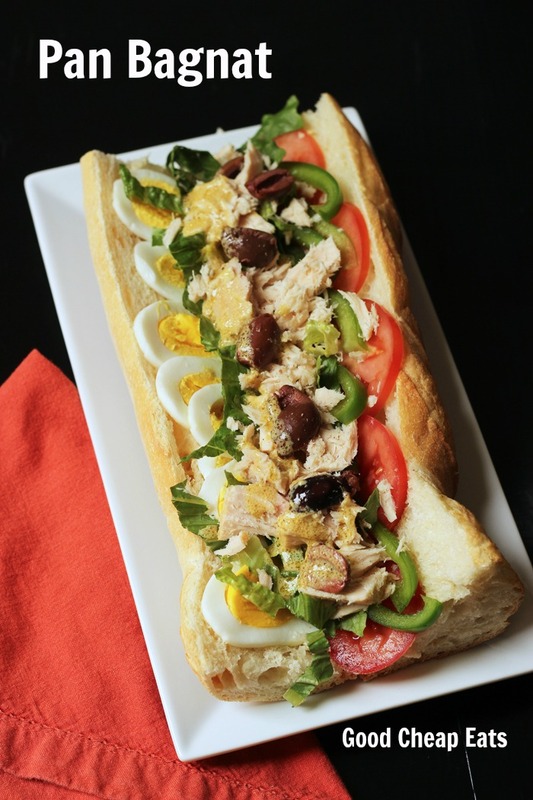 Divide the tuna, eggs, lettuce, tomato, pepper, and olives among the four sandwiches. Drizzle with vinaigrette. Serve immediately. Originally published May 4, 2011. Updated July 23, 2017. Oh that sandwich looks awesome! Would love one of those for lunch today! Thank you for hosting. I shared my Buttermilk Cheddar Jack Biscuits. They were gone so quick! I love all the fresh looking toppings on that sandwich. I shared a Cinco de Mayo idea #9. Oh, wow! That sandwich does look good. I can’t wait for fresh tomatoes; they would be wonderful on a sandwich like that. Please share more recipes that you picked up while in France! My recipe today used up old banana chips I found in the cabinet. I would say that it didn’t receive rave reviews from the kids, but it tasted fine to me. Perhaps they’re just not fond of banana bread? yum, they all sound so good! just linked up! Thanks for hosting the link-up. A lot of these recipes look delicious. 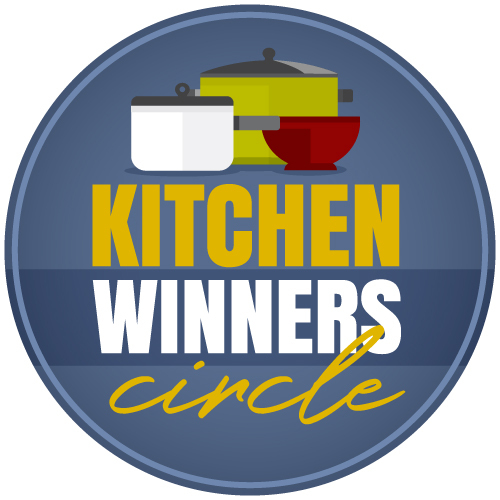 Its great to see what other people are cooking up. Thanks for hosting!